Gian Franco-Kasper, the President of the International Ski Federation (FIS¹), showed himself in an interview last week to be a virulent denier of climate change. His comments were made at the beginning of the 2019 FIS Alpine World Championships in Åre, Sweden. Ironically, the organizers had recently earned ISO 20121 certification as a sustainable event. Almost immediately after the Franco-Kasper story broke, Protect Our Winters (POW) launched a campaign that is pushing for his resignation. The skiing story of the week was the bronze medal earned by Lindsey Vonn of the U.S. in the final race of her storied career, the downhill at the 2019 FIS Alpine World Championships in Åre, Sweden. Unfortunately, Vonn’s farewell had to share the stage with the news that the President of FIS¹, the governing body of international skiing, has views on climate change that mirror those of noted denier-skeptic, President Donald Trump. Gian Franco-Kasper’s climate change-denier bona fides came to light in an interview with René Hauri in the February 4th issue of the German language, Zurich-based newspaper, Tages Anzeiger. The next day, Dvora Meyers posted a column in Deadspin that, along with her biting analysis, translated the 75 year-old FIS leader’s comments into English. All of these quotes could easily have come from the current occupant of the Oval Office. Yet, even Trump hasn’t made the climate denial-dictator connection, at least as far as I’m aware. Per a CNN report, Franco-Kasper tried to walk back the Love-A-Dictator comment — I’ll leave it to the reader to judge his sincerity — but not his climate change denial nor the immigrant-bashing. According to POW, the Franco-Kasper interview brought out into the open what had been whispered about in ski industry circles for years: That FIS leadership is still unwilling to acknowledge — let alone act upon — the overwhelming scientific evidence supporting the reality of human-caused climate change that threatens the entire snowsports industry. Franco-Kasper’s climate change denial stands in stark contrast to the strong sustainability leadership displayed by the organizers of the 2019 FIS Alpine World Championships in Åre, Sweden, taking place now through the 19th. It recently earned certification as being compliant with the ISO 20121 standard for sustainable events. GSB’s Take: This one is easy. Franco-Kasper’s climate denial, along with his preference for dealing with dictators rather than democracies, make him 1) scarily Trump-like, and 2) clearly unfit to be the leader of the governing body of a sport that is suffering consequences of climate change in the here and now. What is not easy to comprehend is how this man, whose views on these issues apparently have been well-known inside international skiing circles, has been able to remain in office since 1998. POW has started a letter-writing campaign to FIS, urging Franco-Kasper to resign. If you agree he should go and would like to participate, click here. Longtime skier John Kerry, who, as Secretary of State under President Obama, was a driving force behind the ultimate adoption of the landmark 2015 Paris Climate Agreement. Val Ackerman, first commissioner of the WNBA and currently commissioner of the Big East Conference. She would bring trail blazing executive experience, has a global perspective³, and, based on a brief conversation I had with her in 2018, gets it on climate change. ³ Ackerman, during her days at the WNBA in the late 90s, worked closely with then-NBA commissioner David Stern, arguably the person most responsible for the explosion in the global popularity of the league. Mark Davis is a member of two very exclusive clubs. He is one of about 3,200 people who have played in the NBA, and, with WDC Solar, he is one of an even smaller number of people who have started inner city solar companies. His dual goals? Put a dent in climate change and reduce urban unemployment. GreenSportsBlog sat down with Mr. Davis to talk about his journey from being a rural Georgia farm boy to the NBA to installing solar panels on rooftops in the nation’s capital. GreenSportsBlog: Mark, GreenSportsBlog is always on the lookout for eco-athletes so we are glad to have found you! How did you go from the NBA to building a solar company in Washington, D.C.? Mark Davis: There were two main factors that may, on the surface, sound unrelated. First, my upbringing on a farm in Georgia in the ‘60s and ‘70s, and second, Barack Obama’s run for the White House in 2008. Let me explain. Growing up on that farm made me acutely aware of the environment, how it works, and how important it is to do what I can to protect it. Now, fast forward to 2008. I had been retired from pro basketball for about 10 years by then. I had been working in real estate and software businesses, but was looking for something else. I was very excited about Senator Obama’s presidential campaign and was particularly inspired by his advocacy of renewables as part of his overall clean energy plan. GSB: What did that inspiration lead to? Mark: I started to ask about and study the clean energy markets. Talked to a friend from Nepal who was involved with the hydropower business over there. I traveled to Northern California to see the solar market up close and took a course about the solar business. I created a business plan and, even more importantly, found the right business climate in which to launch a solar company to give myself the best chance of success. 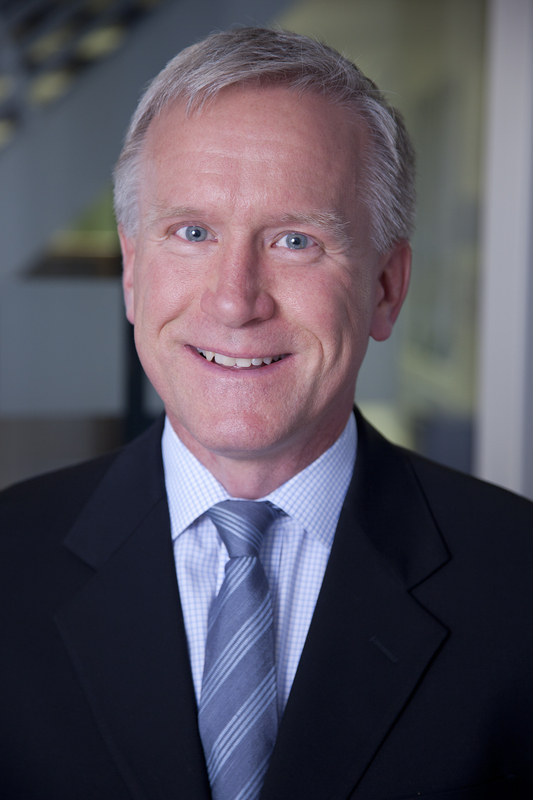 GSB: What do you mean by “right business climate”? GSB: …and the prices for solar panels were much higher then than they are now. Mark: …Yes, by a wide margin. We weren’t anywhere close to grid parity at that time. So what did we local D.C. installers do? The birth of a new industry doesn’t just happen. We did our homework and found that rebates and other incentives would be needed to allow solar to compete on a price basis with fossil fuel generated power provided by the utility. We lobbied local D.C. politicians and civic groups to promote legislation that put incentives in place that eliminated the boom-bust cycles that were the hallmark of the solar industry back then. Eventually, the city council and mayor joined our side. GSB: Sounds like a lot of work! Mark: It took a ton of homework and legwork, but it had to be done. Mark: Once the legislation was in place and we were confident there would be a market for solar in D.C., we launched WDC Solar. But our approach to sustainability was not purely environmental. We also established the company to provide sustainable employment for young men and women who desperately needed it. GSB: How did you do that? Mark: We launched a training program that would teach young folks to be solar practitioners, which provided a pathway to employment at no cost to them. GSB: Incredible! How did you fund this? Through angel investors and/or venture capital? Mark: That’s right. That’s how we were able to get the solar training program up and running. GSB: Impressive. And then how did you get solar panels installed on people’s homes? Mark: Well, at first, back in 2012-13, we worked with the DC Sustainable Energy Utility to transfer the solar rebates, tax credits and solar renewable energy credits (SRECs) to private equity investors, so solar panels could be installed on the roofs at no cost to low-income homeowners. The low-income families owned the energy produced by the panels. They had to pay for any electricity they used over and above what the panels produced which became a major incentive for the homeowners to become more energy efficient. GSB: How did that work? Mark: Very well in most cases. I’ll never forget it when one of my customers told me he had a monthly electric bill of 56 cents! Mark: He couldn’t believe it. I couldn’t believe it! I’ll tell you, our customers have been just so thankful; it’s been a blessing to be able to help people. Another great outgrowth of our business was that many of our early trainees used that experience to get better jobs, thanks to a program with the District’s Department of Employment Services. GSB: Talk about a blessing…So is WDC Solar only involved with residential customers? Mark: We started with small-scale residential jobs; I’m talking 3-4 kW. Then, we got involved with bigger jobs when the District put out a request for proposal (RFP) to put solar on public school roofs. The RFP was for installations totaling 12 megawatts. We were fortunate to work on a portion of that portfolio. We also were involved with some commercial and utility-scale jobs, thanks to a partnership with Standard Solar. Our “sweet spot”, however, still remains low-income residential at this point. GSB: Have you expanded beyond Washington, DC? Mark: It’s been slow because in places like Maryland, the SREC prices aren’t so great. But with the price of solar panels coming down, the SRECS are becoming less important and that makes it is easier for us to go to other jurisdictions. Heck, when you and I first spoke, I was on the roof at Chevy Chase Baptist Church, just across the street from Maryland, helping to install a 100 kW system. Currently, we’re looking at opportunities in Atlanta and Chicago, but both are a bit complicated right now. One thing is certain: We only go into a market where we can create jobs for the local community. GSB: I love the “solar plus jobs” business model. It just makes so much sense! Has WDC Solar worked on any sports venues? Mark: We partnered with New Columbia Solar to provide installers to the Audi Field project, the brand new home of D.C. United in Major League Soccer (MLS). GSB: I’ve heard great things about Audi Field; I need to get there soon. Sticking with sports GSB is constantly on the lookout for eco-athletes like yourself who could have a great effect on fans. Why haven’t we seen more eco-athletes and what can we do to change that? Mark: That’s a complicated question. I think a big part of it is that it is so difficult, from a communications perspective, for many folks to connect extreme weather to the global, long-term climate change problem. The perception among many is that climate change is coming on slowly, that it is not a problem for today and that solutions are a century or more away. On the other hand, so the argument goes, there are clear and present dangers right now like police brutality against people of color and the opioid crisis that need more attention. GSB: I couldn’t have said it better myself. So if that’s the case, how do we fight back? Mark: Athletes and ex-athletes who work with people of color — WE have to be the agents of change! We need athletes to help us emphasize the massive economic benefits that will come to those who help solve the many climate-related crises. I see it starting to occur here — installing solar on your roof is definitely a statement of self-empowerment. GSB: So which athletes can we get? How about LeBron James?? Nothing like aiming high, I always say! Mark: LeBron James will be tough right out of the box. I think we should go for some great elder statesmen of sports who are also involved in renewables. In particular, I’m thinking of Bernard King, member of the Naismith Basketball Hall of Fame, who has worked on climate change issues and in the solar business. Also Dusty Baker, the Washington Nationals’ manager has a solar company. Another idea I have is to create a celebrity golf tournament dedicated to raising money to combat the climate crisis. Basketball players and other pro athletes love golf and this way we can highlight and communicate the urgency of solving the climate crisis in a collegial atmosphere. What do you think? GSB: LOVE IT! Forget LeBron; let’s get serious and line up NBA superstar and scratch golfer and Brita water filter endorser Steph Curry in the mix! We must make this happen. Mark: Hey, we’re in the “let’s make the impossible happen business”. I’m in! President Trump yesterday announced he was pulling the United States out of the Paris Climate Agreement in a carefully staged White House Rose Garden event. Even before he finished speaking, leaders from the worlds of international and domestic politics—with the notable exceptions of Trump-world and many but not all Congressional Republicans^—business, and science made strongly worded statements of condemnation. Some corners of the sports world—in particular, green-sports groups like Sport and Sustainability International (SandSI) and Protect Our Winters (POW), also spoke out. Here are their statements, GreenSportsBlog’s take and more. SandSI is a new global organization made up of sports federations, governing bodies and other parties, including individuals, from 6 continents and nearly thirty countries. It is designed to leverage the combined cultural and market influence of sports in support of healthy, sustainable and just communities. Sport and Sustainability International founding director Allen Hershkowitz’ gave his take on the U.S. exit to GreenSportsBlog Thursday. Click here to read it. Protect Our Winters (POW) is the leading climate advocacy group for the winter sports community, led by elite skiers, snowboarders and more. In response to Trump’s decision, POW encouraged their followers to take positive action. “Today, Trump bailed on the Paris Agreement. With one over-hyped, fancy announcement, he told the nation he’s taking the United States out of the most monumental global climate agreement. We do not accept inaction on climate change. We are extremely disappointed in this decision. Here at Protect Our Winters, we try very hard to find a silver lining in everything. We want you to have an opportunity to take positive action on every negative rollback. Fortunately, cities, states, and business leaders across the country have already initiated conversations about setting greenhouse gas reduction targets to mimic what was agreed upon in Paris at COP21. We’re really happy to hear this. And, we need you to call your governor and ask them to join this movement. If our federal government won’t do it, let’s ask our governors and mayors to step up. Staying in the winter sports world, I AM PRO SNOW (IAPS) brings together winter sports athletes, businesses, resorts, and mountain communities around the world to help stop climate change and shifting to 100 percent clean, renewable energy. FULL DISCLOSURE: I am a Climate Reality Leader, trained by Vice President Gore in 2012 to give presentations of an updated version of the “An Inconvenient Truth” slide show and have done so 30+ times. “Removing the United States from the Paris Agreement is a reckless and indefensible action. It undermines America’s standing in the world and threatens to damage humanity’s ability to solve the climate crisis in time. But make no mistake: if President Trump won’t lead, the American people will. Became the first U.S. chief executive to speak publicly about Green-Sports, when he lauded the National Hockey League and the Pittsburgh Penguins for their environmental efforts at an October, 2016 White House ceremony honoring the latter for winning the Stanley Cup. Issued a proclamation in support of the initial Green-Sports Day, on October 6, 2016. Plus Obama, now 56, still has a smooth, left-handed jump shot. “A year and a half ago, the world came together in Paris around the first-ever global agreement to set the world on a low-carbon course and protect the world we leave to our children. It was steady, principled American leadership on the world stage that made that achievement possible. It was bold American ambition that encouraged dozens of other nations to set their sights higher as well. And what made that leadership and ambition possible was America’s private innovation and public investment in growing industries like wind and solar — industries that created some of the fastest new streams of good-paying jobs in recent years, and contributed to the longest streak of job creation in our history. Simply put, the private sector already chose a low-carbon future. And for the nations that committed themselves to that future, the Paris Agreement opened the floodgates for businesses, scientists, and engineers to unleash high-tech, low-carbon investment and innovation on an unprecedented scale. I wholeheartedly agree with the sentiments expressed by SandSI, Allen Hershkowitz in yesterday’s interview, POW, Vice President Gore and President Obama about President Trump’s #AmericaLast decision to pull the U.S out of the Paris Climate Agreement. As far as the sports world is concerned, I will be interested to see if/when U.S. pro sports leagues/college conferences, teams, owners and athletes speak up on the Paris Exit. I hope I am wrong but I think POW will be the exception and many will stay on the sidelines, citing the desire to stay out of politics. Given the way sports got involved in the North Carolina bathroom bill and other issues, if politics becomes the excuse for staying silent, it would seem to be a disingenuous one. But we shall see; perhaps the leagues and teams will step up. GreenSportsBlog asked the major U.S. pro sports leagues, the USTA and the PAC-12 for comment. So far, the NFL and the PAC-12 declined comment; we’re waiting to hear back from the rest. We will relay any statements we receive to you. In the “Global Affairs, Global Emissions and the Global Economy” game, businesses, nonprofits and individuals are the players. In this case of the Paris Climate Agreement, 195 national governments are the referees, steering the action of the game. In this Climate World Cup, the U.S. has the best team (scientists, cleantech innovators, companies, nonprofits). The U.S also is the head referee, a crucial and, in terms of leadership of the 21st century global economy, advantageous position to be in. At least it was until yesterday. Now the U.S. has sidelined itself as a referee, joining Syria and Nicaragua on the sidelines. To be sure, as Vice President Gore, President Obama and many others have said, U.S. companies, governors, and mayors, academics and others will continue to play the game. And, per Allen Hershkowitz, sports federations and governing bodies will do so as well. But having the federal government step away from its important role will hurt the U.S. economically and diplomatically. Thankfully, we’re in the early stages of this crucial global game and most fans in the U.S. (71 percent in one poll) want their country to stay on as referee. My bet? Sooner or later, continued pressure from fans and the players will bring the U.S. federal government back into the game. So keep the pressure on. ^ Republican House members who are part of the Climate Solutions Caucus, including Carlos Curbelo (FL) and Patrick Meehan (PA), spoke out strongly against the decision to take the U.S out of the Paris Climate Agreement. A busy GSB News & Notes kicks off with the newly minted Zero-Waste Los Angeles Memorial Coliseum (the Zero-Waste part is new; the Coliseum opened during the Harding Administration). Also greening is tennis’ first major championship, the Australian Open, now underway in Melbourne. And, finally, a brief send off from GreenSportsBlog to President Obama, the first POTUS to publicly talk about the importance of the intersection of Green + Sports, on his last full day in office. The Los Angeles Memorial Coliseum is huge, both literally—it holds 93,607 for football— and in terms of its place in American and global sports history. Hosted the 1932 and 1984 Summer Olympics. If Los Angeles is chosen to host in 2024, the Coliseum will play a key role. Is the home of USC Trojans football. UCLA shared the Coliseum with its crosstown rival from 1928-1981*. Starting last season, is the temporary home for the NFL Rams after a 20 year hiatus in St. Louis. The club will move to the gaudily-named City Of Champions Stadium—for the 2019 campaign#. And, as of 2016, this west coast sports mecca became a Zero-Waste facility—the second-largest such stadium in college football and the largest in the NFL. “A large part of making our communities a better place includes making as little an impact on the environment as possible,” said Molly Higgins, the Rams’ vice president of community affairs and engagement. The Zero Waste program diverted over 400,000 pounds of waste over the season. It took a 3-step effort between fans (who first sorted waste into bins), a crew of 80-100 custodial and sustainability staff (who further sorted the waste), and Athens Services, the Coliseum’s recycling partner, to make the grade. Corporate green-sports stalwarts BASF and EcoSafe added their waste management expertise as partners of the Coliseum’s Zero-Waste efforts. They were joined by Legends Hospitality (sustainable catering), ABM Janitorial Services (green cleaning), and Waxie (sustainable sanitary supply). About a year ago, GreenSportsBlog gave the Australian Open “Green Team” high marks for their on-site sustainability efforts but saw room for improvement in 2016 in terms of fan engagement and awareness of their sustainability good works. How did they make out? Irrigating Melbourne Park with recycled water thanks to large underground water tanks installed onsite. Switching irrigation systems from overhead spray to drip and sub surface. Installing above ground water tanks at Hisense Arena with 550,000-liter capacity to use rainwater for washing courts, stadiums and irrigation. Added state-of-the-art roof coatings that reflect 70 percent of the sun’s heat, keeping buildings cooler on the many very hot days that often plague the tournament. Tennis Australia still needs to better communicate the existence and benefits of the green initiatives to fans. This last point is echoed in the SEA case study: “Australian Open organizers know all about these greening efforts, however there remains a need to engage” the 700,000+ fans expected to attend the tournament about the greening efforts. I would add that fans watching on TV and online also need to be made aware that the Australian Open is a leader of the Green-Sports movement. Today is the last full day in office for Barack Obama, the 44th President of the United States. It is not at all a stretch to say he was the first Climate Change President: Obama, mainly through executive actions, authored more stringent fuel economy standards for automobiles; enacted the Clean Power Plan, which is leading to a reduction in carbon emissions; signed a meaningful carbon emissions deal with China, and led the effort that resulted in the Paris Climate Accord, signed by 195 countries. He also is the first POTUS ever to publish a peer reviewed journal article,“The Irreversible Momentum of Clean Energy,” appearing in Science. Obama, a serious sports fan and, at 55, still a competitive basketball player, was also the first POTUS to publicly discuss the power of the intersection of Green + Sports. GreenSportsBlog chronicled Obama’s and his administration’s dives into Green-Sports, from Energy Secretary Ernest Moniz speaking to the 2015 Green Sports Alliance Summit to the White House Sports-Climate Change Roundtables to POTUS’ mention of the NHL’s and the Pittsburgh Penguins’ commitment to sustainability (“we wanna continue to have ice so that we can play hockey”) at the latter’s White House ceremony celebrating its 2016 Stanley Cup win. President Obama talks Green-Sports at the October 2016 ceremony honoring the Stanley Cup champion Pittsburgh Penguins (Green-Sports section of the talk starts at 6:41 mark of the video). As Vice President Joe Biden so eloquently put it after Congress passed the Affordable Care Act (aka Obamacare) in 2010, Obama’s Green-Sports forays were “big BLEEPING deals” for the movement. Because, while the sports world has done incredible work greening the games themselves over a very short time span (the Obama presidency began before the Green Sports Alliance was launched), it has a long way to go as far as generating fan awareness of, and interest in said greening is concerned. A President talking about Green-Sports automatically generates both. Campaigned for equal pay for women at the White House ceremony for the 2015 WNBA champion Minnesota Lynx. Discussed the importance of access to sports for girls. Offered, in 2014, that had he been a father of a son, he would not allow him to play tackle football because of traumatic brain injury concerns. Will President Trump link sports and social causes? If so, which causes will he pursue? It is safe to assume that Green-Sports will not be a high priority for the 45th President. But that’s a discussion for another day. For now, I say a heartfelt thank you to President Obama for his service, leadership (especially on climate change), integrity and dignity. * UCLA has called the Rose Bowl home since 1982. # The Rams will be joined by the San Diego (now Los Angeles) Chargers. ^ Wise cited a June 6 piece in The Undefeated by colleague L.Z. Granderson, “Will Current NBA Stars #staywoke After Obama Leaves Office?”, as the source for his linkage of the activism of African American athletes and President Obama. Happy New Year to you, GreenSportsBlog readers! Thank you for your comments, suggestions and consistent support throughout 2016; keep ’em coming in 2017. Speaking of 2017, the climate change fight is facing some stiff headwinds in the US that were unexpected as recently as November 7, 2016. How will the increasingly high profile Green-Sports world react? With that in mind, let’s take a look at “What 2 Watch 4” in Green-Sports in 2017. January 20: Inauguration of Donald J. Trump as 45th President of the United States; Washington, DC. What a difference a POTUS can make in Green-Sports. Barack Obama was the first US president to engage in Green-Sports. He publicly praised the Pittsburgh Penguins for their greening initiatives at a White House ceremony in October and the White House Office of Science and Technology Policy (OSTP) hosted Green-Sports roundtables on his watch. His successor, Donald J. Trump, is a climate change skeptic/denier who has nominated a climate change denier as EPA Administrator and promises to remove the United States from the landmark Paris Climate Agreement. How will the Green-Sports world react to President Trump? With the US government expected to pull back from the climate change fight, the private sector and the general public will need to, pardon the pun, pick up the green ball and run with it harder and faster than before. This is a great opportunity for leaders at the intersection of Green + Sports (commissioners, teams, sponsors, eco-athletes, non-profits) to play a pivotal role in accelerating the impetus for positive climate action. What a difference a year makes in terms of the greenness of the Super Bowl Host Committee. Ensured, working with regional transportation agencies, there was ample public transit during Super Bowl week. Gate Ferry ridership during Super Bowl Week increased by 81 percent vs. 2015. Partnered with the San Francisco Bike Coalition to establish a bike valet at Super Bowl City for the entire 9-day activation. Sold tickets to a ‘Fan Express’ charter bus system for transport to Levi’s Stadium on Super Bowl Sunday from pick-up points throughout the Bay Area. The buses, from Google’s fleet, ran on Neste NEXBTL renewable diesel and removed approximately 2,000 cars from the road on Super Bowl Sunday. Worked with PG&E, the Official Clean Energy Partner, to run Super Bowl City on clean, temporary power. 91% of temporary power in Super Bowl City was supplied by Neste NEXBTL renewable diesel generators, which reduced emissions and improved air quality. Engaged master food concessionaire Legends to serve locally-sourced (within 75 miles) and/or organic food in Super Bowl City. Free water stations were provided by U.S. Pure Water and FloWater. FloWater estimated it diverted 14,580 single use plastic bottles from landfill. The hope was that the Houston Super Bowl LI Host Committee would, pardon the pun, take the sustainability baton from the Bay Area folks and run with it. This appears not to be the case. Yes, the Houston Host Committee is working closely with the NFL Environmental team as part of the NFL’s Super Bowl LI Environmental efforts. This is a continuation of the league’s 15+ year Super Bowl greening program. In Houston, the NFL is offsetting the energy consumed at the game; the league, Host Committee, Houston Texans and Verizon are helping to plant trees. The NFL, Houston Super Bowl Committee, Verizon and the Houston Texans team up to plan trees in advance of Super Bowl LI. But, with the maturing of Green-Sports, these actions, welcome though they are, seem like the “cost of doing green business.” It is up to local Host Committees to make their Super Bowls beacons for environmental action. The Bay Area Super Bowl 50 Host Committee showed future Host Committees the way. The Houston Host Committee, unfortunately, chose not to take that baton. Of course Houston, capital of the US oil industry, is not the eco-hub that the Bay Area is. In many precincts of the Lone Star State, climate change denial and/or skepticism is alive and well. Expecting Houston to match or surpass Super Bowl 50’s greenness was probably a stretch. Yet, amidst the oil, Houston and Texas have a strong sustainability heritage to build upon. The City of Houston has a longstanding, comprehensive greening initiative, Green Houston. EPA ranked Houston the #1 user of Green Power in the country in 2015. Texas is, by far, the top producer of wind power in the US. The state is home to another great natural resource, climate scientist and climate change communicator extraordinaire, Dr. Katharine Hayhoe of Texas Tech University. Heck, Neste, the renewable diesel company that partnered with the Super Bowl 50 Host Committee, has its US base in Houston. That Houston Super Bowl Committee chose not to celebrate this, it says here, is an opportunity missed. So it’s “Wait ‘Til Next Year” for Host Committee greening as we soon turn our attention to Minnesota, the Vikings and US Bank Stadium in advance of Super Bowl LII next February. Following a successful launch at the historic COP21 Climate Change Conference in Paris in late 2015, Sustainable Innovation in Sport will convene for a second time, bringing together an international lineup of Green-Sports leaders and influencers to discuss how best to accelerate the pace of positive environmental impacts via sport. A sampling of confirmed speakers includes Vivianne Fraisse, Head of Sustainable Development at Roland Garros/French Open, Michelle Lemaitre, Head of Sustainability at the International Olympic Committee (IOC); Frederik Lindgren, Head of Corporate Sustainability for the European PGA Tour, and Norman Vossschulte, Director of Guest Experience with the Philadelphia Eagles. The European Champions League, comprised of the best soccer clubs across the continent and the British Isles, is a 32 team competition running from September to June. The Sweet 16 commences in February with the likes of Arsenal, Bayern Munich, Barcelona, and Real Madrid battling to make it to the Super Bowl of Club Soccer at 74,500 seat Principality Stadium (formerly known as Millennium Stadium) in Cardiff, Wales. The first Champions League final to be played in Wales will take place in Great Britain’s first ISO 2012-1 (standard for sustainable events) certified stadium and, according edie.net, a leading British sustainability-focused market research firm, one of the six greenest stadiums in the world. This is quite remarkable since Principality Stadium is not new—it opened in 1999—and was built without sustainability in mind. But things changed dramatically in 2010 when stadium owners announced their intention to significantly green operations. Recycling and especially composting were far from standard operating procedure at British sporting facilities in 2010. Yet by 2012, Principality Stadium diverted 98.4 percent of its waste from landfill. LED lighting and smart grid electronic systems were installed, along with water controls, leading to meaningful reductions in carbon emissions and water usage. Further carbon emissions ensued as sustainability was imbued into the stadium’s supply chain processes. The seventh Green Sports Alliance Summit will be held at Golden1 Center, the new, LEED Platinum home of the Sacramento Kings, recently named GreenSportsBlog’s Greenest New Arena of 2016. The theme for Summit 2017 is Play Greener: Engaging Fans, Athletes & Communities. GSA is certainly on the right track here: The Green-Sports Movement needs more eco-athletes to speak out on behalf of positive environmental action and the climate change fight. Doing so will draw many more fans and communities to the cause. To quickly maximize awareness of and interest in Green-Sports among fans, there is one constituency that needs to be added to the Play Greener lineup. There is a mutually beneficial, (Green-Sports) Movement-Media tango to be danced here. The Movement needs the Media (sports, green, business and mass): Unless the many great Green-Sports stories told at the GSA and elsewhere are exposed to the broad audience of sports fans and thought leaders through the media megaphone, it will be difficult for the Movement to grow far beyond its current niche. The Media needs the Movement: Actually, what the media really needs is eyeballs. And a fast-maturing Green-Sports Movement (climate change montage was featured at the Rio Olympics opening ceremonies, LEED certified stadiums are expected, etc., etc.) has plenty of inspiring, forward looking content to attract lots of eyeballs. 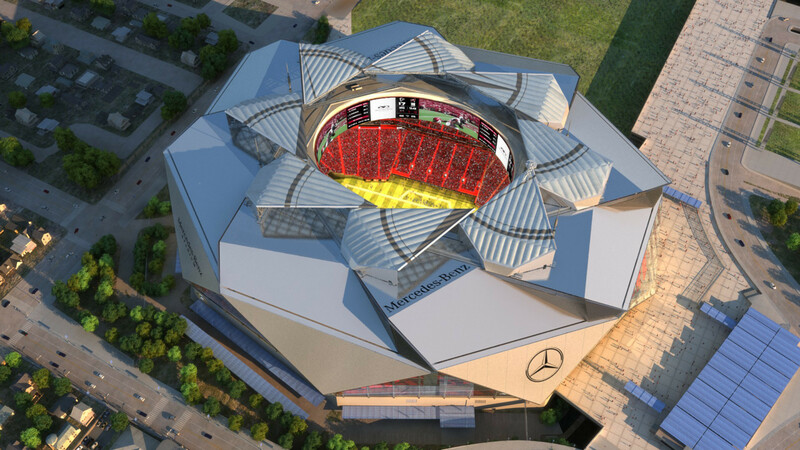 Late June-Early July: Mercedes-Benz Stadium Opens, new home of the Atlanta Falcons and Atlanta United F.C. The Atlanta Falcons, thanks to having the second best record in the NFC, are enjoying a week of rest before their playoff run to a potential Super Bowl LI berth begins. Rest is not something Scott Jenkins is getting much of these days. Jenkins is General Manager of Mercedes-Benz Stadium, the new LEED Platinum home of the Falcons and MLS expansion club Atlanta United F.C. that is set to open in late June or early July. It will be the first LEED Platinum stadium in the world (the aforementioned Golden1 Center in Sacramento is the first LEED platinum arena.) He also serves as Chairman of the Board of the Green Sports Alliance. Light: The LED lighting system will use 60% less electricity than the metal halides at Georgia Dome, the Falcons current home. Abundant natural light will enter the concourses through energy efficient, floor-to-ceiling glass. The Oculus-style (think camera lens) retractable roof, the signature feature of Mercedes-Benz Stadium, will, when open, also maximize natural light. On-site Renewables: Solar panels on top of the garage nearest the stadium will, among other things, power charging stations that provide juice for EVs parked below. Green Space: The Georgia Dome will be demolished; in its place will be new, grassy open space for tailgating and non-game day community use. Rainwater Collection: Rainwater will be collected and used for irrigation and cooling towers. Food: Farm-to-table and organic offerings will be available throughout the building. Mass Transit: The stadium will be served by 2 MARTA light rail stops. Three cities remain in the bidding to host the 2024 Summer Olympics: Budapest, Los Angeles, and Paris. Paris, which hosted in 1900 and 1924 and lost out on bids in 1992, 2008 and 2012, is the betting favorite, with current odds from British online bookmaker NicerOdds.com standing at 1.6 to 1. Los Angeles, which hosted the 1932 and 1984 summer games, is 2.75 to 1. First time bidder is the long shot at 8 to 1. The Budapest bid’s compactness stands out: Most of the events would take place within seven clusters within the city proper along the Danube. Access by boat, metro and bus will be augmented by Active Route Network (ARN), an innovative bike share program. Five of the seven clusters can be reached from the city center by bicycle in 20 minutes or less. Sustainability is, arguably the Los Angeles bid’s centerpiece. Every event will be contested in an existing or temporary facility. From the Rose Bowl to the Staples Center, from the new Rams stadium to the Coliseum, the sports infrastructure is there. The Olympic Village will use existing housing.